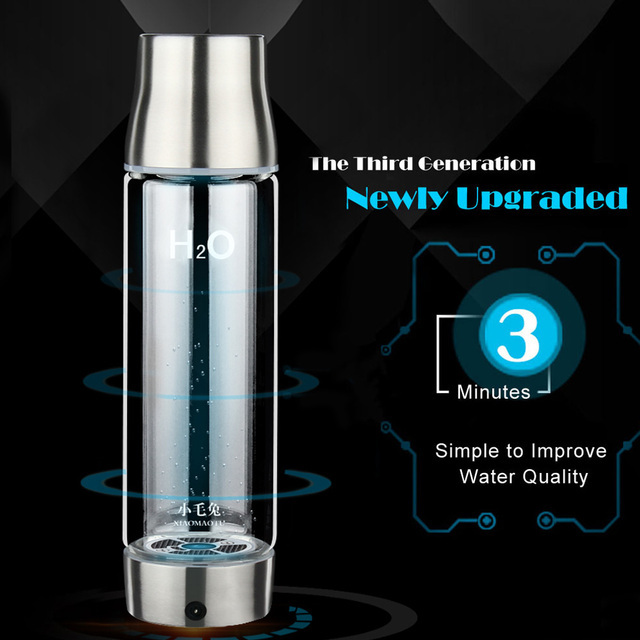 Do you want to drink high-quality water at any time? 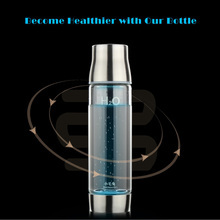 Our hydrogen rich ionizer bottle is a good choice! 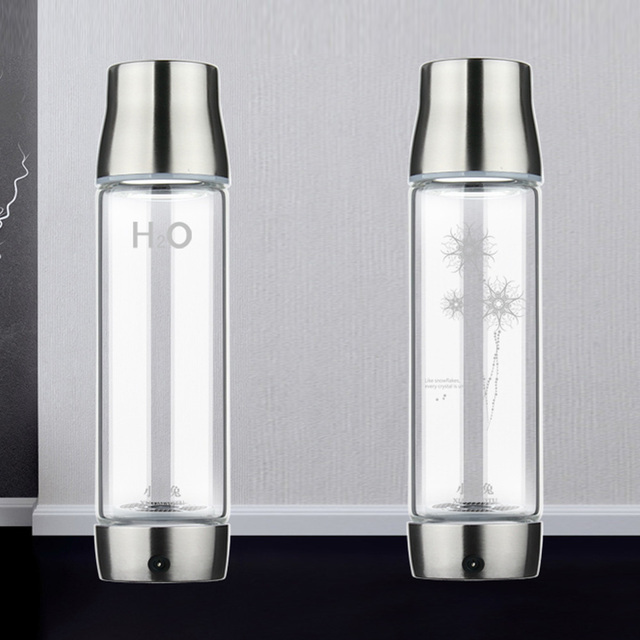 It can transform normal tape water into hydrogen rich water within 3 minutes and you can direct to drink it. To some extend, it can help to boost your metabolism or increase body micro circulation. Elegant look with exquisite craft, it serves as a perfect gift. 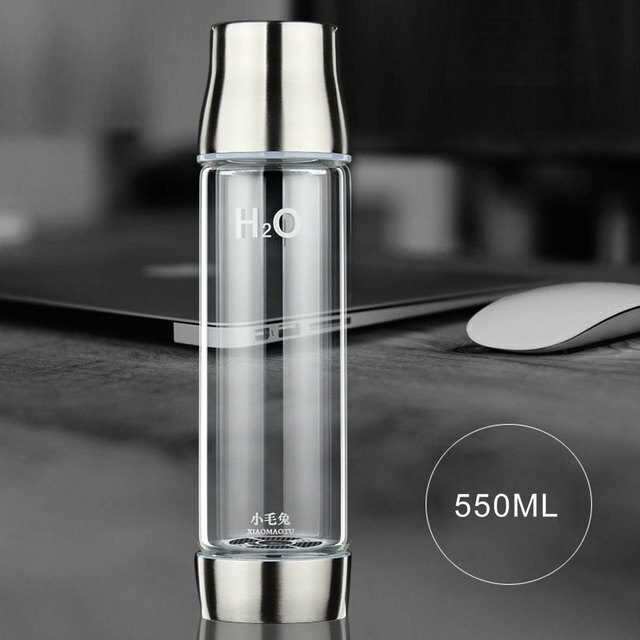 So, why not enjoy healthy water with our bottle? 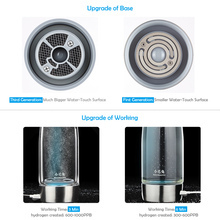 Apply heat-resistant high borosilicate glass & stainless steel, anti-burst & safe to use. Auto-induction, touch to operate, smart and easy for usage. 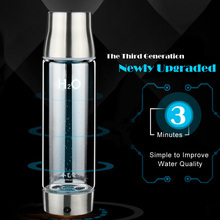 Quick to produce a cup of odorless hydrogen rich water within 3 minutes, and it can be directly drunk. One charging for 8 times usage, it is portable for travel, work, office. Can be charged by computer, power bank conveniently with a USB cable. This bottle is self-cleaning and will alarm when in low power. 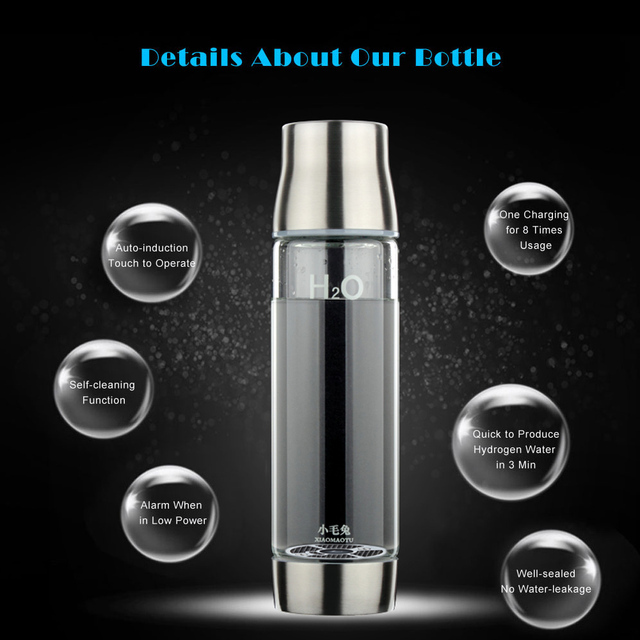 Well sealed & lid can also used as an instant cup. 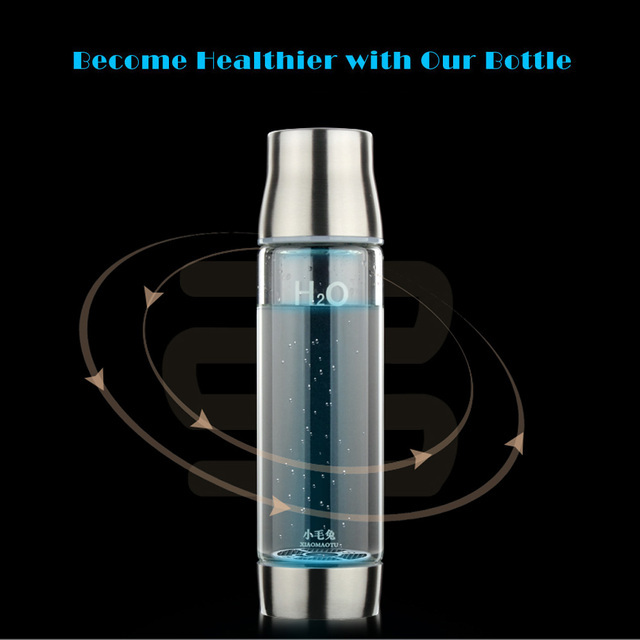 1.Our hydrogen rich bottle will create more H2 within 3 minutes, quicker and high-efficient than normal product on the market. 2.It is auto-induction, hand touch to operate, easy for person at any age. 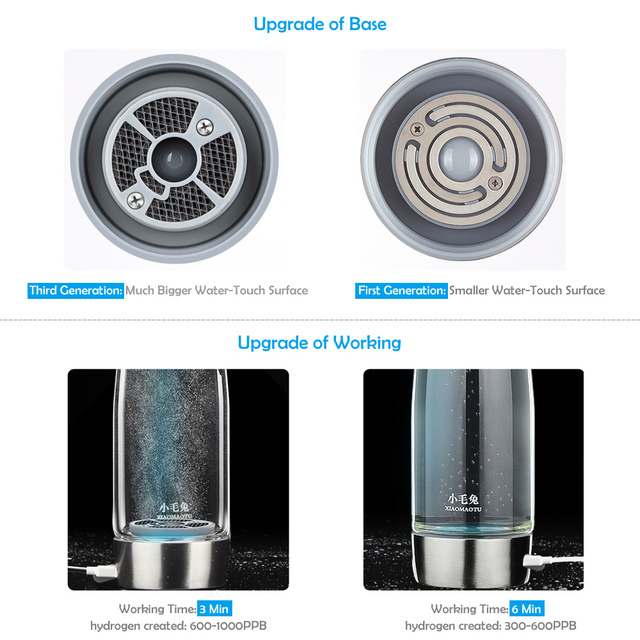 3.It applies top high borosilicate glass, heat-resistant and anti-burst, so you can pour hot water or room temperature water into it, but for long time usage, we suggest that the water temperature should not over 60 cesius degree. 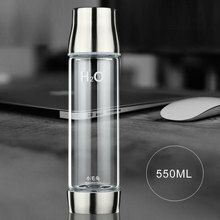 4.Self-cleaning: You just need to touch the button for 5 seconds and the bottle will start to clean itself, we suggest one cleaning after 20 times usage. 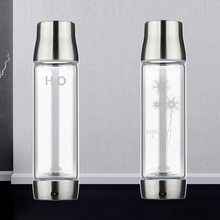 1.Tea water or water with high concentration of chloride is suitable for electrolyze, we recommend boiled tap water or mineral water to produce hydrogen rich water. 2.Please close the USB port when cleaning. Don’t use steel wool or abrasive cleanser to clean the item, so as to prevent damage. Very fast delivery. Item as described. Fast and hassle free transaction. Thank you. Will buy again. Buy with confidence.